At Mirage we respect your right to privacy and we understand that, as a visitor to www.Mirage-Systems.de, you prefer to control your own personal information and preferences. 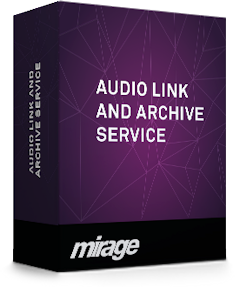 For this reason, we may ask you to register or to provide personal information and preferences when you visit certain areas of www.Mirage-Systems.de, download free software, request information, or subscribe to Mirage newsletters. We will guard the personal information you share with us to ensure the content, services, and advertising that we provide on www.Mirage-Systems.de are always tailored to your current, designated preferences.When you provide Mirage with your name (or alias), e-mail address, mailing address, or telephone number, and you do not 'opt out,' Mirage and Mirage representatives and affiliates may use the provided information to alert you to product upgrades, special offers, updated information, classes, new services, and other Mirage information. Representatives and affiliates may include value-added resellers and authorized training partners. 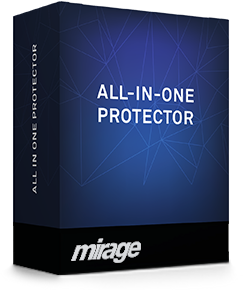 Beyond its representatives and affiliates, Mirage does not offer or allow the selling of any user-provided information to third parties.Mirage respects the rights users give us when opting to receive e-mail communications and enforces internal policies to preserve those rights. It is our objective to retain the long-term ability to continue to communicate with our users.If you do not want Mirage or Mirage representatives to contact you, you may "opt out" of this preference at any time, whether you're online or contacting Mirage directly. As part of your preference flexibility, you'll always have the option to opt back in and have Mirage contact you based on your previous or new preferences. For instructions, please see the section "Contact Us", below.If you choose not to register or provide personal information, you can still visit most Mirage websites; however, you will not have access to areas that require personal identification.Personal information that you post to online forums is accessible by other forum participants. If a user elects to use our ?Tell A Friend? application for forwarding a Mirage e-mail to their friend or informing a friend about our website, we ask them for the friend?s name and e-mail address. Mirage will automatically send the friend the specified e-mail or the specified website information. Mirage will not use the friend's information to contact them in the future. 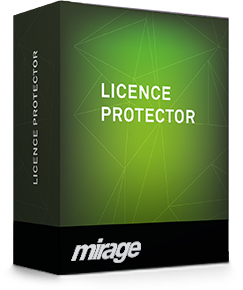 Mirage offers free membership for certain products. In order to establish membership, visitors are requested to provide both personal information and preferences. This information is stored and protected by your user-established Member ID and Password.There is an additional "Remember me" option. By selecting it, you allow Mirage to store your Member ID and password so you can access certain areas of the website without re-signing in. The sign-in information is stored until you explicitly sign out. It also allows you to return to any Mirage website on subsequent visits without having to re-enter your information. Mirage remembers you by placing a log file (cookie) that contains only enough information to identify you upon return visits. A "cookie" is a small line of text that is stored with your web browser for record-keeping purposes and helps Mirage provide better service to you. Your browser has options to accept, reject, or provide you with notice when a cookie is sent.No information, other than that found in the Membership cookie, will be accessed by any Mirage system. Access to your membership information always requires both your Member ID and Password.Mirage also utilizes visitor log files (cookies) and hosted tracking with our website. Once a user enters our site, a cookie follows them through their click stream path. Examples of information being collected by these cookies and the hosted tracking include the number of times a user came to our site(s), and the paths they took to get there. 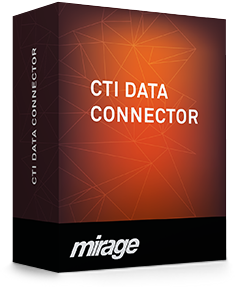 Mirage uses the data collected from website visitor cookies and hosted tracking in aggregate form only and does not collect any personally identifiable information. Use of this information helps us better understand what users are seeking and learning at our website(s) and helps us identify potential navigation issues. Mirage will always protect the personal information that you share with us. Mirage stores information internally in a controlled, secure environment. If, for example, you make a purchase online, we route all transactions through SSL (Secure Socket Layers) and will process your credit card number only to secure your current payment. The SSL transaction does not retain your credit card number subsequent to the transaction at hand and will not use the number for marketing purposes.We occasionally hire other companies to provide limited services on our behalf, including packaging, mailing and delivering purchases, answering customer questions about products or services, sending postal mail and processing event registration. We will only provide those companies the information they need to deliver the service, and they are prohibited from using that information for any other purpose. If Mirage requests general demographic information, this information is limited to reporting purposes only; members remain anonymous. Phone numbers, e-mail addresses, and postal addresses are never shared for demographic reports with outside entities. Mirage may occasionally present a special contest or promotion that is sponsored by another company. To qualify for entry, we may ask you to provide personal information. If we plan to share that information with the sponsor(s), we will provide an up-front statement to that effect.Though we make every effort to preserve user privacy, we may need to disclose personal information when required by law wherein we have a good-faith belief that such action is necessary to comply with a current judicial proceeding, a court order or legal process served on our website. How to update your personal information and preferences: You can help Mirage maintain the accuracy of your personal information by notifying us when you change your name, address, title, phone number, e-mail address, or your content preferences. If at any time you wish to update your information or preferences, or you prefer to stop receiving communication from Mirage, feel free to contact us at any time. E-mail to privacy@mirage-systems.com. If you change your e-mail or postal address, please contact Mirage. In order to make the appropriate corrections, please include both your old and new address. If users have opted out of all communication with the site, or deleted/deactivated their account, then they will not be contacted. Mirage websites may contain links to other sites. Mirage assumes no responsibility for the content or the privacy policies and practices of such websites. Mirage encourages you to read the privacy statements of these linked sites; their privacy practices may differ from ours.